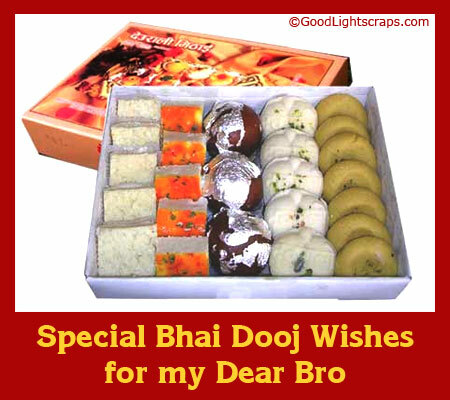 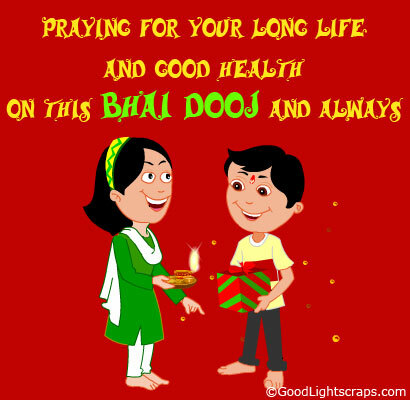 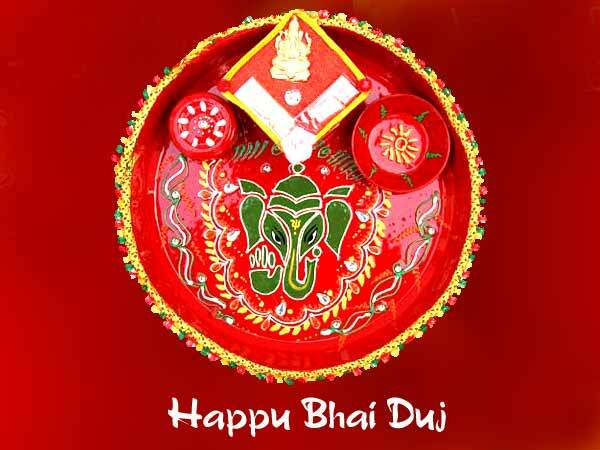 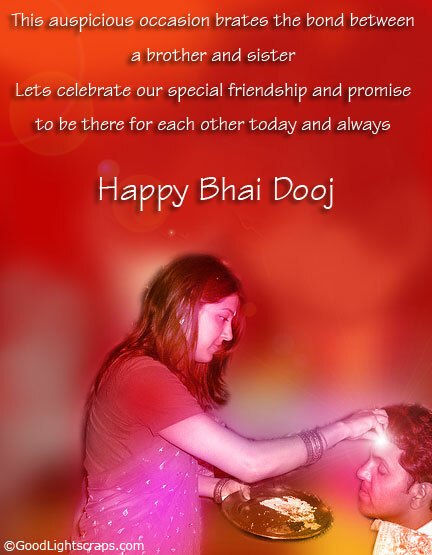 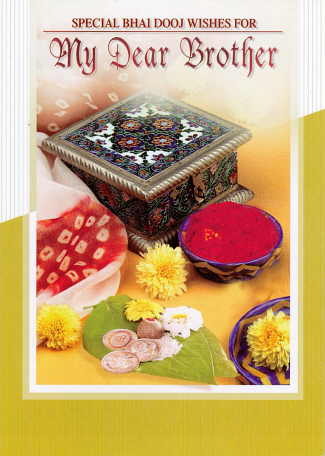 Bhai Dooj is one of the major festival of India, also called as Bhai Phota, Bhatri Dwitiya. 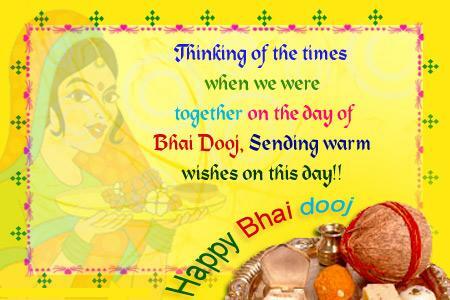 The festival is celebrated between brothers and sisters to strengthen the bond of love they share. 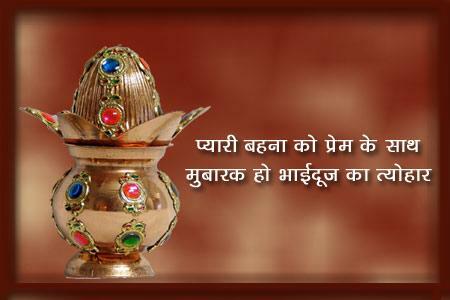 On this auspicious day, sisters put tilak on their brother's forehead and pray for their long life. 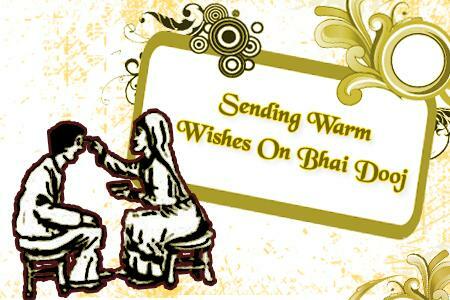 In return, brothers pamper their sisters and promise them to stand by their side in all good or bad times of life.